SYDNEY (Reuters): Asian shares were struggling to avoid a ninth straight session of losses on Tuesday as the spectre of a further escalation in the Sino-US trade war haunted investors, while the pound perched at a five-week top on hints a Brexit deal might be nearer. EMini futures for the S&P 500 edged up 0.15%, while financial spreadbetters pointed to small opening gains for the major European bourses. 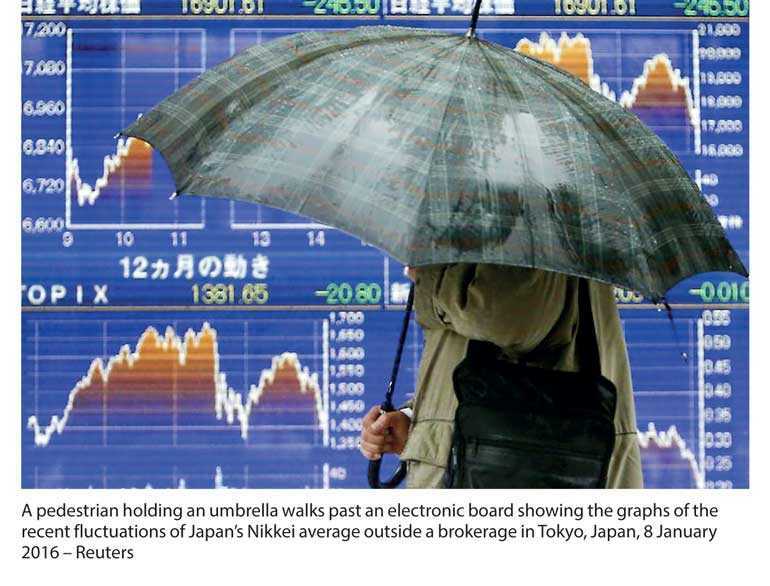 Japan’s Nikkei fared better on the back of a softer yen and rallied 1.3%. Weighing on the yen was news Japanese chipmaker Renesas was buying US peer Integrated Device Technology for about $6.7 billion in cash. MSCI’s broadest index of Asia-Pacific shares outside Japan eased 0.05%, but did hold above lows last visited in July last year. Shanghai blue chips dipped 0.2% while South Korea fell 0.2% as investors awaited the next round of trade hostilities. The Dow fell 0.23%, while the S&P 500 gained 0.19% and the Nasdaq 0.27%. Sterling clambered up to $1.3050, after firming 0.8% overnight. Against a basket of major currencies the dollar was 0.1% lower at 95.054. It did gain on the yen to 111.44, but remained within recent ranges. Oil prices found support from looming US sanctions against Iran’s petroleum industry. Brent was 25 cents firmer at $77.62 a barrel, while US crude inched up 10 cents to $67.64.